Welcome to ServiceMatters, a technical support platform for qualified technicians. The Technical Reference Materials (hereinafter “Materials”) provided by Whirlpool Corporation at this site are intended for viewing and use by qualified appliance service technicians. 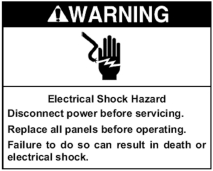 If you do not possess sufficient mechanical and electrical skills and the ability to comprehend, understand and follow all safety warnings and cautions on the product, in the product literature (such as set forth below) and in these Materials, do not attempt to undertake the repairs that are depicted in these Materials. Whirlpool Corporation disclaims any and all liability, to the fullest extent permitted by law, arising out of your use of the site and Materials. By clicking “I Accept” below, you agree to a full and complete waiver of liability as to Whirlpool Corporation, its agents, employees, officers, and directors, and agree to keep the content of all Materials confidential. You further agree that all content is the sole property of Whirlpool Corporation and may not be sold, reproduced, or otherwise distributed without prior written permission. Privacy Notice for this site, click the "I Accept" link below. To decline, click the "Take Me Home" link below. ®/TM ©Whirlpool Corporation. All rights reserved. All other trademarks are owned by their respective companies.